We found this nest so exposed but we had to get a quick photo. After the snap, we quickly covered the nest as it should have been and left it alone as much as possible. 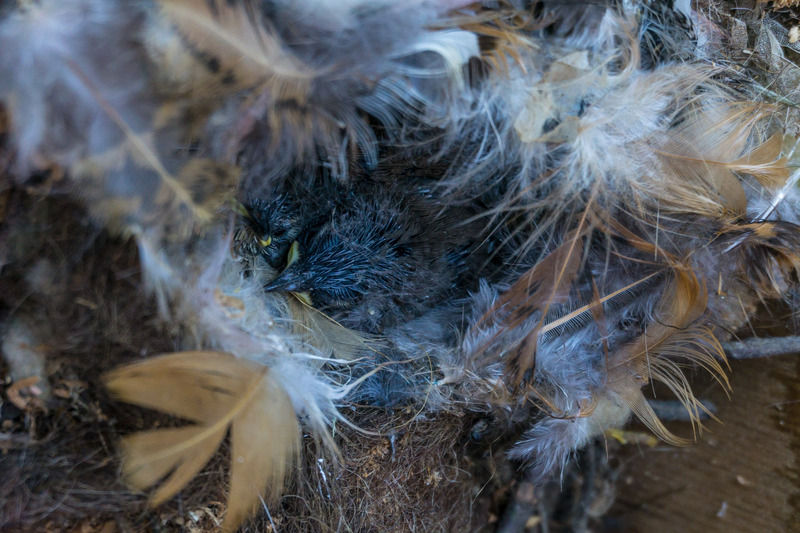 It’s so funny to see a nest with live hatchlings, so upclose, and below eye level. I really worry about the myriad of neighborhood cats that have been seen wandering the yards and can EASILY jump on top of this nest. Neighbors would probably get upset if we captured the cats to keep them away from the nest, but for the time being they are thriving.